Note: Served in the Royal Signal Corp in Burma and Sumatra during WWII. Afterward he worked as an assistant in a bookshop, and began writing fiction about the book trade, which was later collected in The Brightfount Diaries. He became editor of the The Oxford Mail in 1958, and was the first President of the British Science Fiction Association. 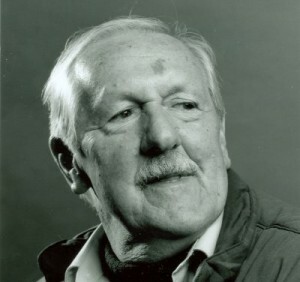 Aldiss became closely aligned with the British New Wave in the mid 60's, while establishing himself as an important SF anthologist and critic. Showing all translations. Registered users can choose which translations are shown. The FT Weekend Oxford Literary Festival takes place between March 17 and March 25 2018. This year there will be a tribute to Brian including talks from colleagues and family. On Tuesday the 20th at 4pm Christopher Priest will chair a session of readings and remembrance by family and other authors. This forms part of a bigger session on science fiction in literature. At the last BSFA meeting a tribute was made to Brian. 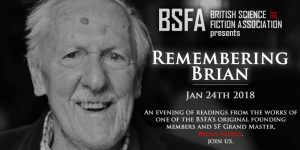 Although not one of the founder members of the BSFA, Brian was given the #1 membership number very early in its days, and BSFA felt very honoured to have him as their special guest at the BSFA/SFF joint AGM and mini-convention a couple of years ago. Brian won BSFA Awards in 1971 for his collection, The Moment of Eclipse, and in 1973 won a special award for Billion Year Spree. In 1982 he won the Best Novel award for Helliconia Spring, repeating the win in 1985 for Helliconia Winter. More info on the BSFA website.